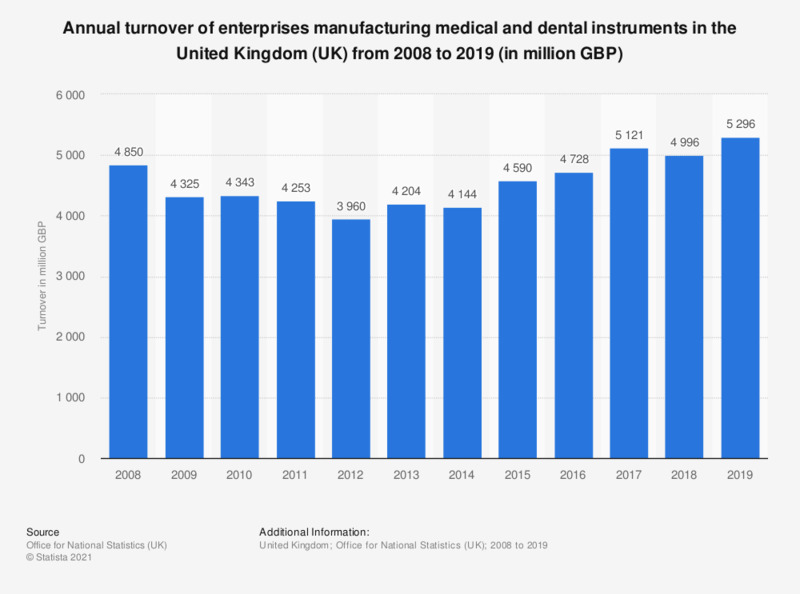 This statistic presents the annual turnover of medical and dental instrument and supply manufacturers in the United Kingdom (UK) from 2008 to 2017. In 2017, enterprises in the medical and dental supply sector generated a total revenue of almost five billion British pounds, the highest in the provided time interval. Everything On "Medical equipment in the United Kingdom" in One Document: Edited and Divided into Handy Chapters. Including Detailed References. Statistics on "Medical equipment in the United Kingdom"